The ACCBAT project is implemented under the ENPI CBC Mediterranean Sea Basin Programme. 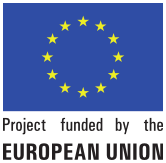 Its total budget is 4,99 million Euro and it is financed, for an amount of 4,49 million Euro (90%), by the European Union through the European Neighbourhood and Partnership Instrument. The ENPI CBC Med Programme aims at reinforcing cooperation between the European Union and partner countries regions placed along the shores of the Mediterranean Sea. training in Best Agricultural Practices. All three countries have recently invested in waste water treatment plants on a large scale, but re-use of treated waste water in agricultural irrigation is low mainly because of quality reasons. 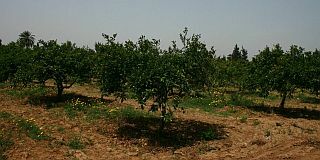 production methods are not water-saving and do not follow Best Agriculture Practices. Regional cooperation on a Mediterranean scale between the partner institutions on the use of treated waste water and networking with advanced research institutes in Europe do not currently exist. lack of know-how on production and protection methods including the use of treated waste water. Highlands along the Jordan Valley with potential sites: Ramtha Wastewater Treatment Plants (WWTP) in Irbid region, As Salt WWPT in Balqa region, and Madaba WWTP in Madaba region. 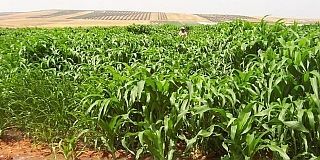 No demonstration plots are planned for the Jordan Valley as the whole area south of Deir Allah is already irrigated with a mix of freshwater from the King Abdullah channel and treated wastewater from the Amman WWTP. 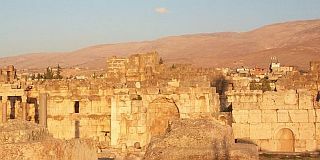 The WWTP of Ablah, Caza of Zahleh, in the Bekaa Valley.